Carnival Cruise Line has revealed details on the first Dr.Seuss Water Park at sea which will debut on the cruise lines upcoming ship. Carnival Horizon will feature the first ever Dr.Seuss Water Park at sea when the ship enters service in April 2018. The new colorful WaterWorks will expand the partnership Carnival already has with the Dr.Seuss brand. Already the cruise line features activities and events with Dr.Seuss across the fleet. kids and even adults will be in for a treat and a thrill. 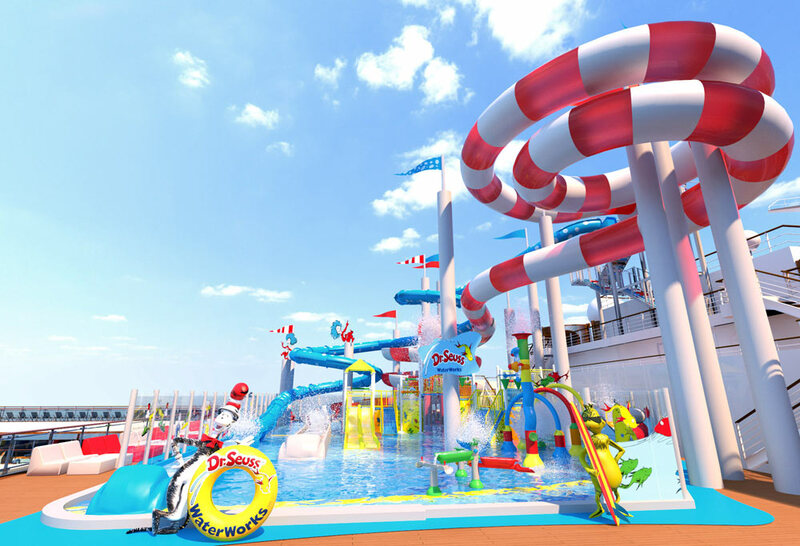 ”Our ships are designed as the ultimate seagoing playgrounds and Carnival Horizon will take this concept to the next level with the spectacular Dr. Seuss WaterWorks which promises fun for guests of all ages”. The new park will include Fun Things slide, inspired by Thing 1 and Thing 2 which is a 213 foot enclosed body slide with whimsical polka dots and special lighting effects. One of the other main slides will be The Cat in the Hat slide which features an enclosed raft slide offering more than 450 feet of heart-racing twists and turns. 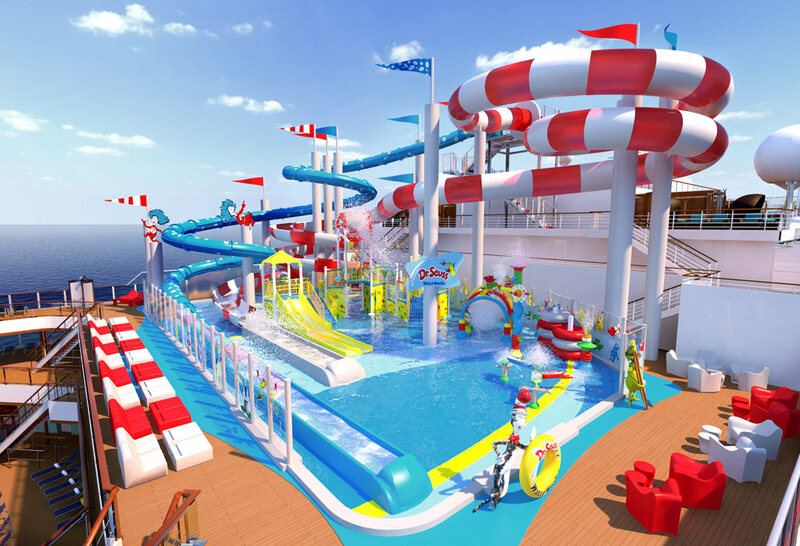 Rendering By: Carnival Cruise LineTo go along the slides and complete the entire WaterWorks park located on deck 12 will be 150-gallon tipping bucket and a kiddie splash zone with dozens of water spray toys. There will be Dr.Seuss characters displayed all over and who knows one of them might even make an appearance. The new park will enhance the Carnival Horizon even further which will already be featuring an IMAX Theater and SkyRide, both first introduced on sister ship Carnival Vista. 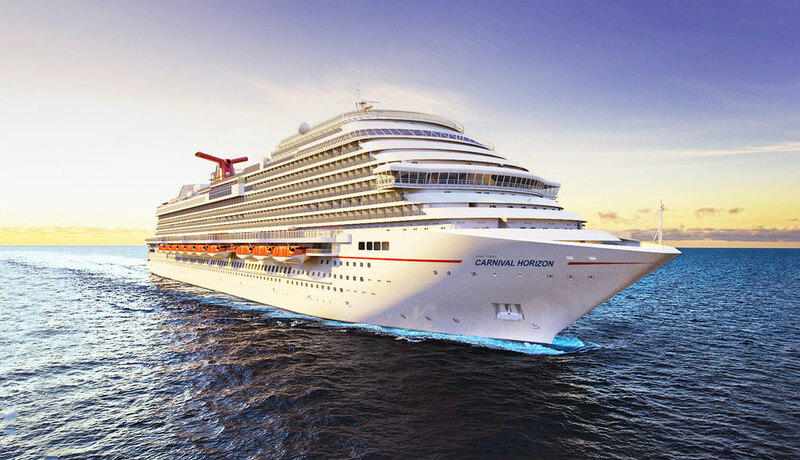 Carnival Horizon is currently under construction by Fincantieri in Italy and will sail its maiden cruise on April 2, 2018. The 133,500 gross ton vessel a series of inaugural cruises in the Meditteranean before arriving in the United States on May 23, 2018, in New York. After the summer season sailing out of the Big Apple, the new ship will be based out of Miami, Florida starting on September 22. The vessel will sail 6-day and 8-day itineraries to the Caribbean.